It is used to diagnose and differentiate various lesions such as glaucoma, inflammation of the anterior segment, congenital anomaly, eye trauma, ischemic ocular disease, laser treatment, before and after eye surgery, anterior chamber angle tumor, or foreign body. 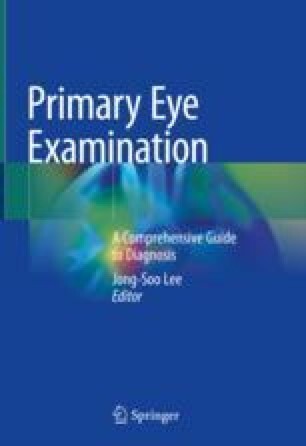 It is performed for the exact diagnosis and classification of glaucoma, the degree of occlusion of the anterior chamber angle due to peripheral anterior synechiae (PAS), the prediction of IOP control, and the selection of treatment modalities. It is also helpful in diagnosing and determining the degree of inflammation in uveitis. It is also performed to evaluate the adequacy of eye solution before and after surgery, such as goniotomy and laser trabeculoplasty. It can be used to diagnose various diseases at the periphery of the iris such as tumor, cysts, perforation, foreign body at the periphery of the iris, traumatic iridodialysis, laceration of Descemet’s membrane, or ocular disease near the base of the vitreous. Fellman R. Gonioscopy. Atlas of Glaucoma. https://doi.org/10.3109/9780203007204-11.